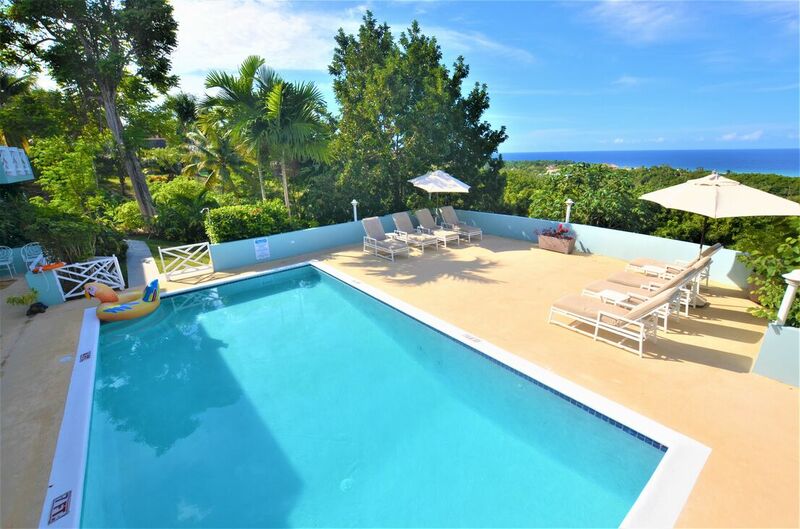 Serendipity Villa is a magnificent Jamaica villa, located in the fashionable gated community of pristine Spring Farm in Montego Bay. 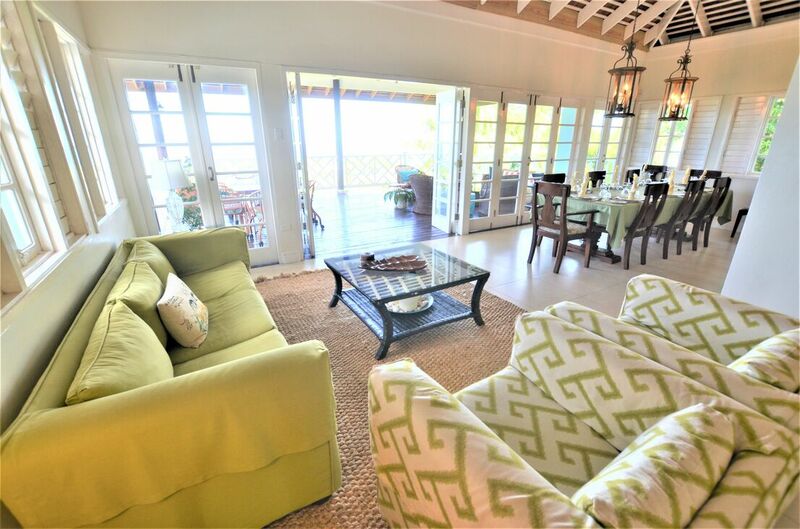 The villa has been renovated recently, making it even more comfortable and elegant. 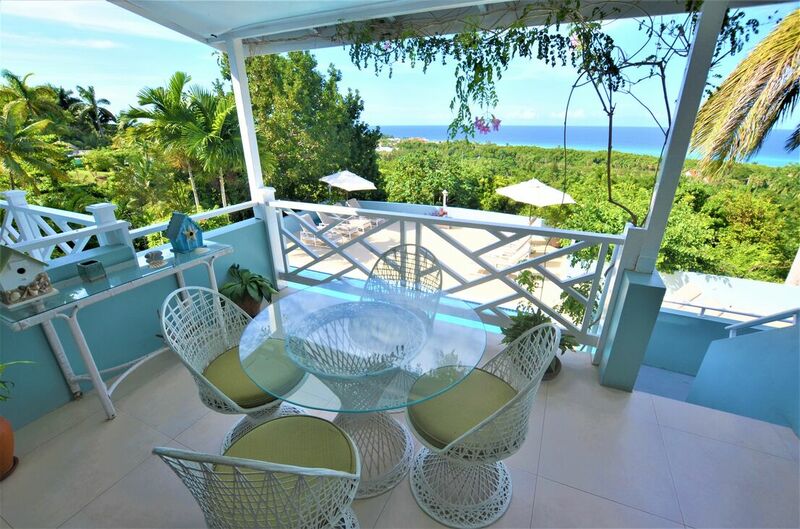 The spectacular views from Serendipity Villa’s every room, balcony or window are truly remarkable. 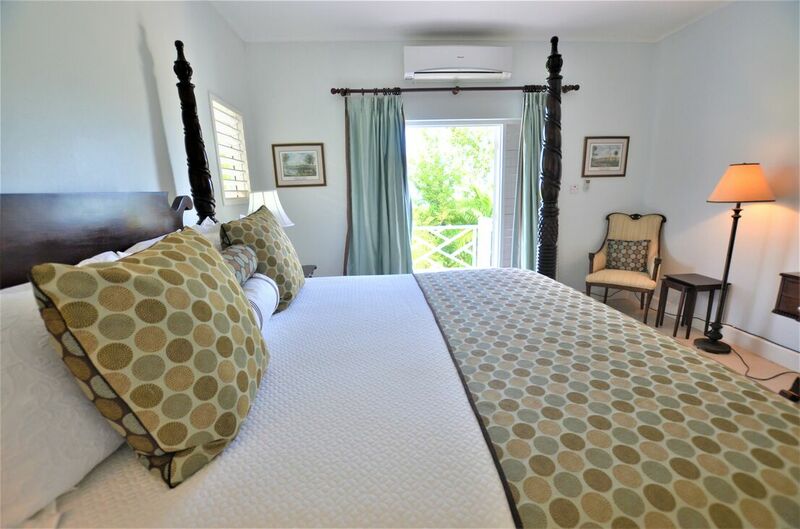 The villa has six luxuriant bedrooms with en suite bathrooms, two powder rooms, living areas, dining room, game room and media room. 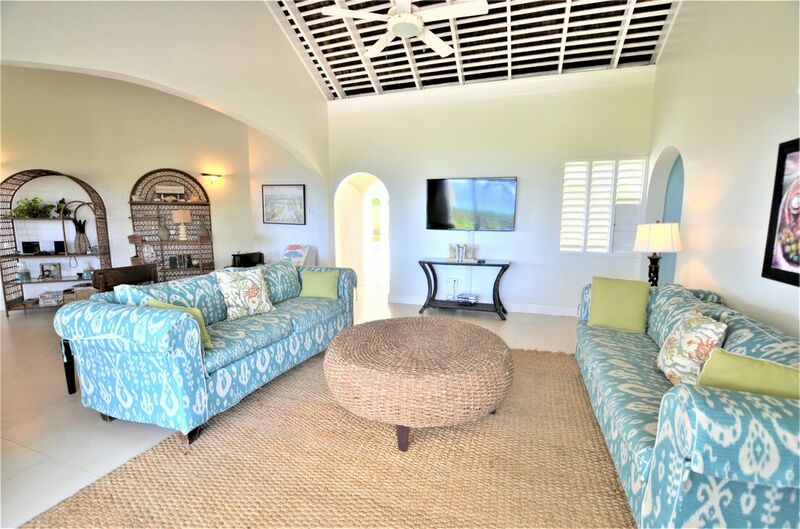 Serendipity Villa can accommodate twelve guests, with facilities for varying needs for socialization or solitude, with lounges and sitting areas indoors and outdoors. 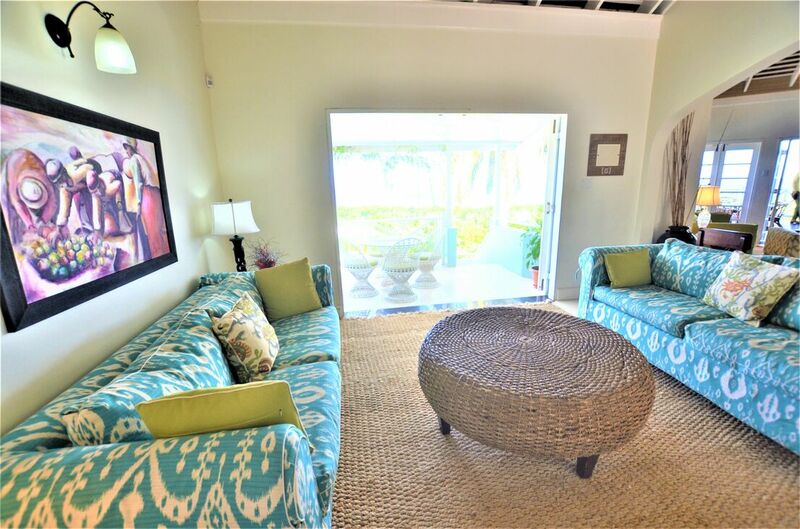 The floor plan and high ceilings make the central living areas very airy, bright and spacious. 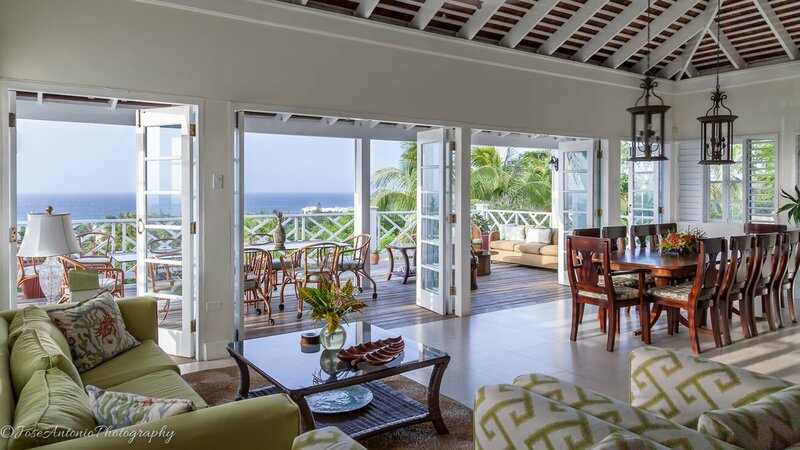 The lovely large windows provide spectacular views of the most glorious sunsets, the best among villas in Jamaica. 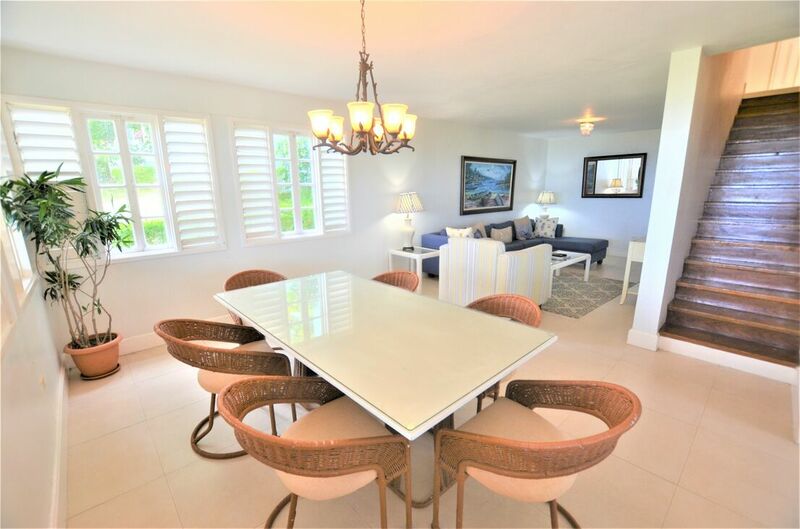 Meals can be served at any of the four inside and outside dining areas, by the pool or on the balcony at Serendipity Villa. 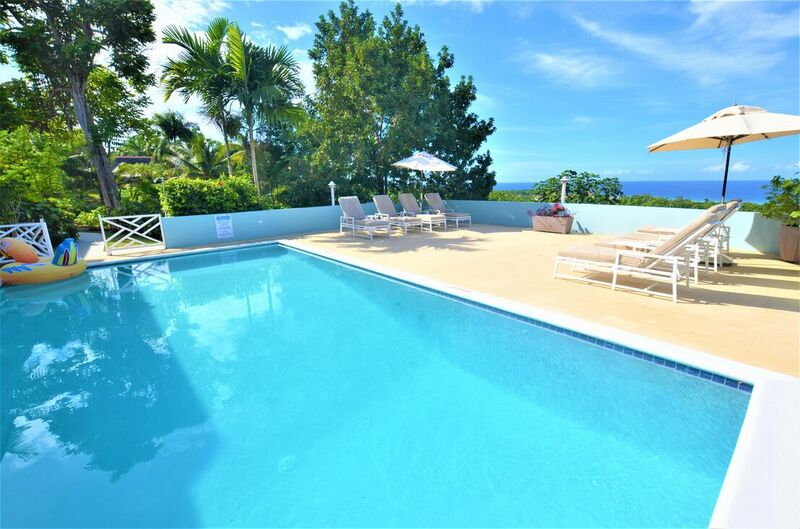 Serendipity Villa has an ideal location on a hill, minutes away from the best shopping, dining, sightseeing, golfing, music festivals, beaches and nightlife options offered by Jamaica. The newly constructed convention center and Half Moon Shopping Center are also very close by. 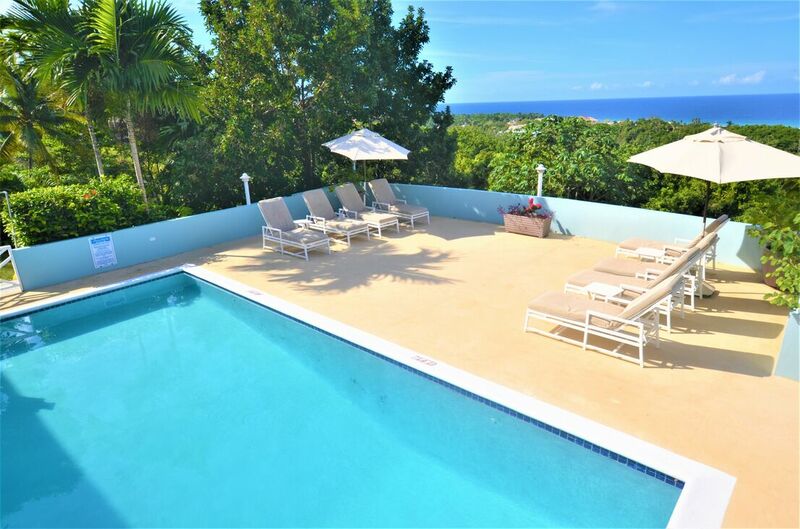 The new and modern roadways meandering along Ocho Rios, Negril and the Caribbean Sea are only 90 minutes away. Jamaica’s north coast has very rightly been labeled the Jamaican Riviera by Travel & Leisure. 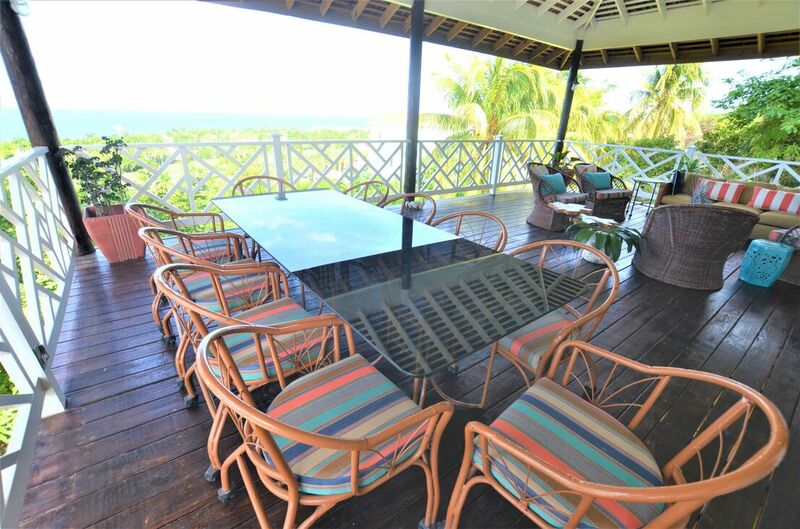 Serendipity Villa undoubtedly has one of the best locations among villa rentals in Jamaica. 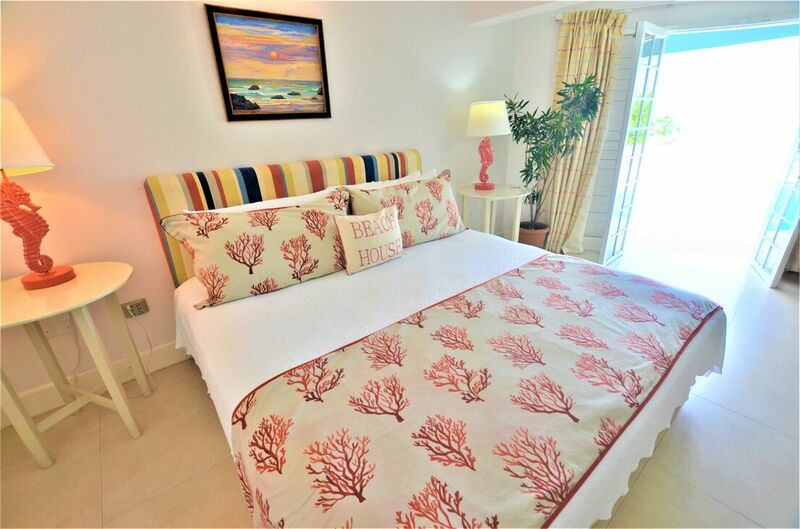 A spacious bedroom wing houses six beautiful bedrooms that open onto balconies and the seemingly endless spread of the sparkling Caribbean Sea. 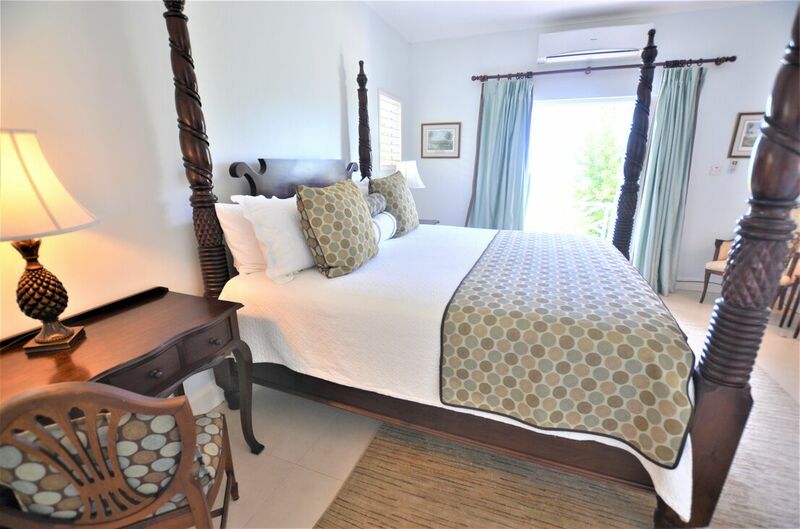 The first master bedroom is located privately at the end of the hall, featuring a king-sized bed, en suite bathroom and lovely furnishings. 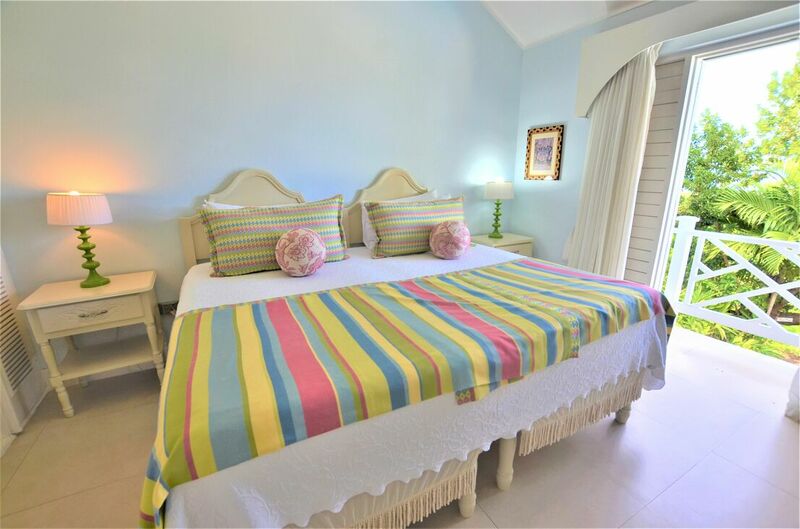 The second master bedroom is one of the loveliest rooms in the villa. 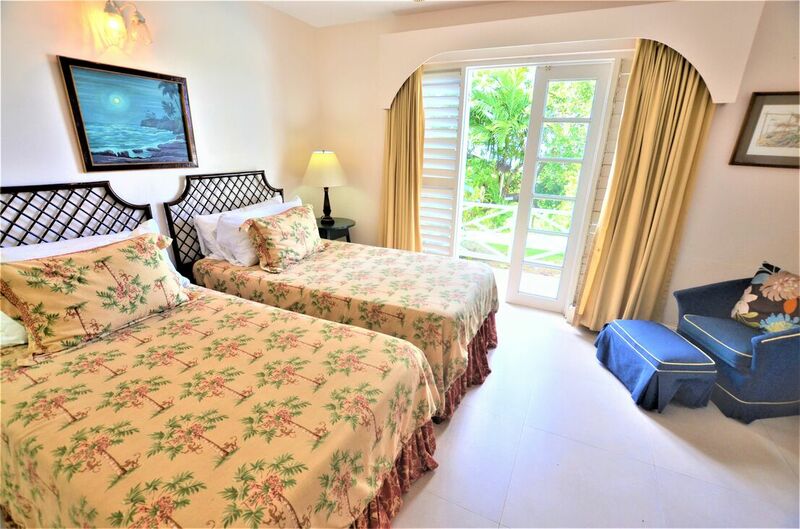 Each of the six bedrooms offers a great deal of closet space and drawers, king-sized or twin beds, air conditioning, plasma flat screen televisions and safety doors for each balcony for guests with children. Each room is always fragrant with exquisite flowers from Serendipity’s lovely gardens. 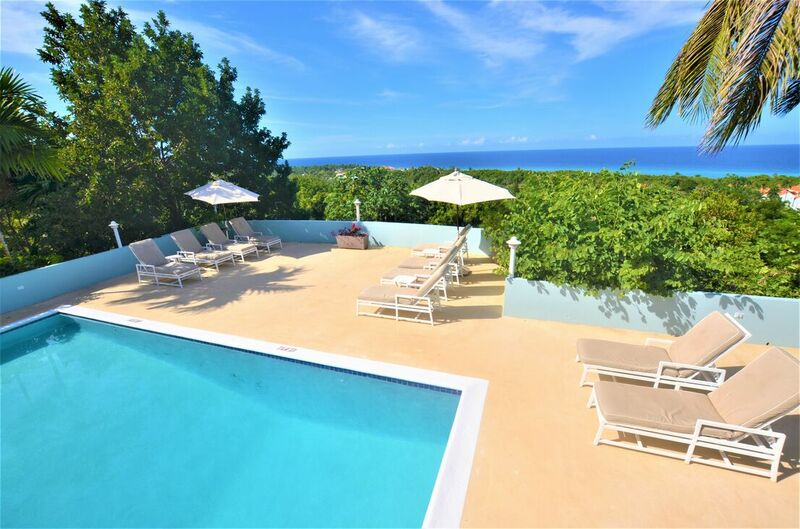 The pool and terrace at Serendipity Villa are very popular among guests, who like to gather there for endless supplies of refreshing drinks from the broad bar, for breathing in the spectacular views and even for playing some very entertaining board and card games. 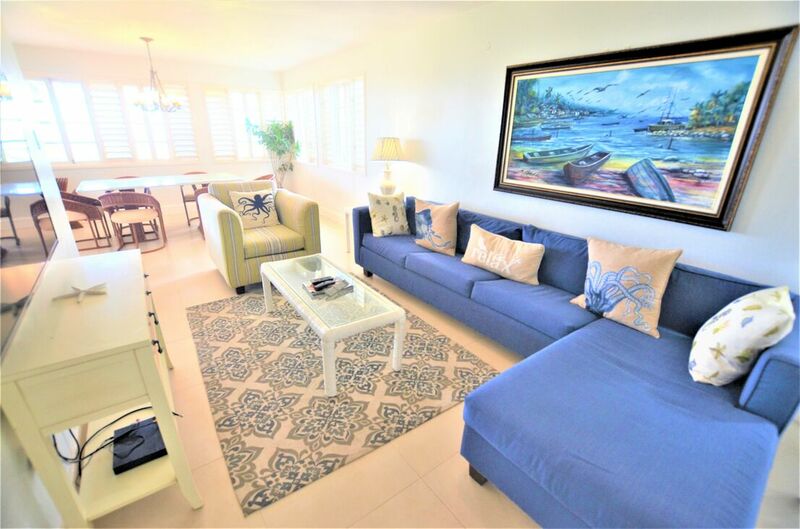 The incredibly comfortable living room is equipped with cable television, extensive collections of books, DVD movies and music CDs. 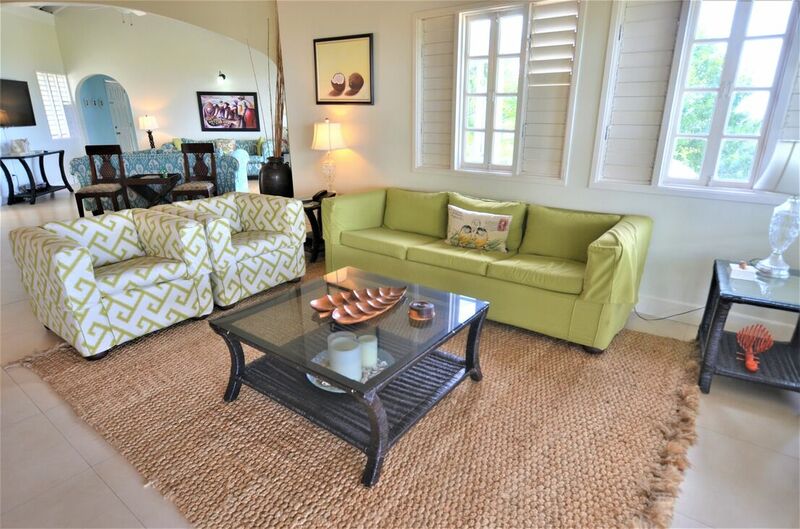 Wireless Internet services are available throughout the villa. 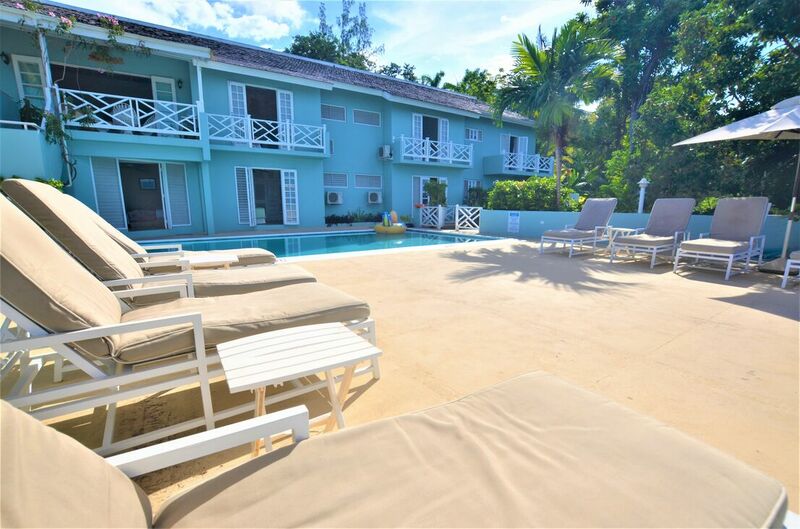 The pool terrace has a brick oven which is used by the cook for excellent coal grilled chicken pork, fish and lobster, for lavish poolside party buffets. 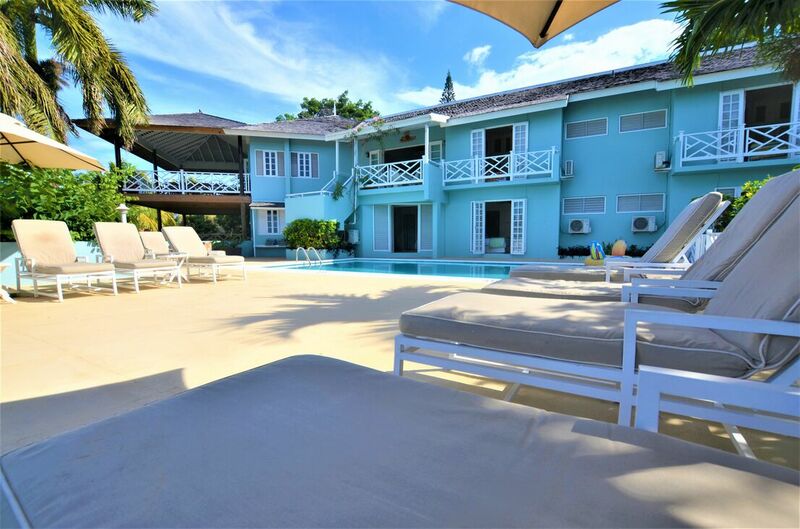 The unparalleled services and unique ambience at Serendipity Villa makes one of the most popular luxury villas Jamaica. 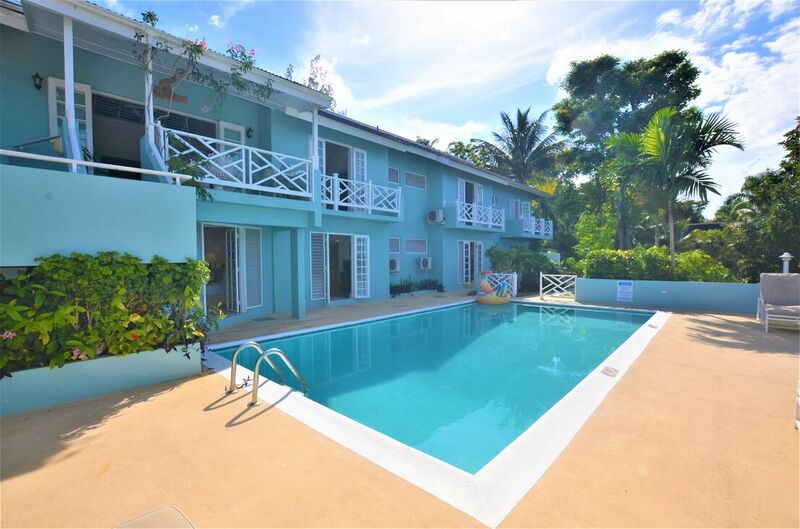 Vacationing at Serendipity Villa is literally like a holiday in paradise. 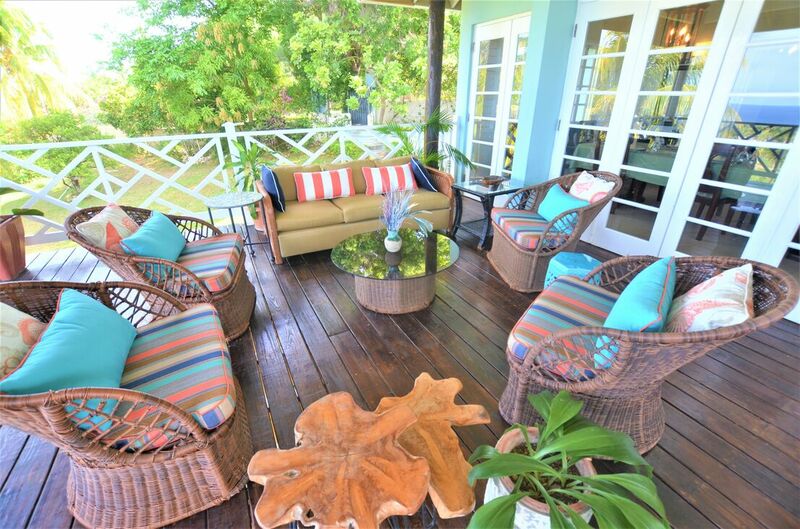 Before guests wake up in the morning, the cook places steaming Jamaican Mountain Blue coffee or tea outside the bedroom doors or on the verandah. 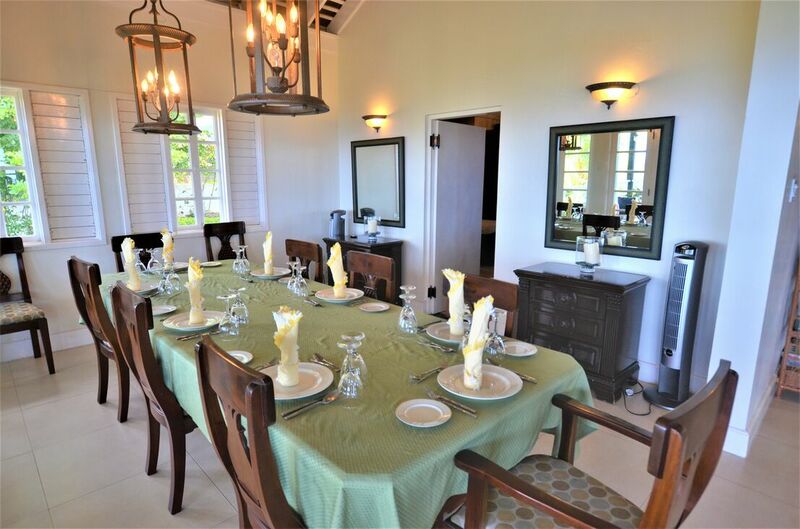 A lavish breakfast is prepared and served when all the guests are ready. 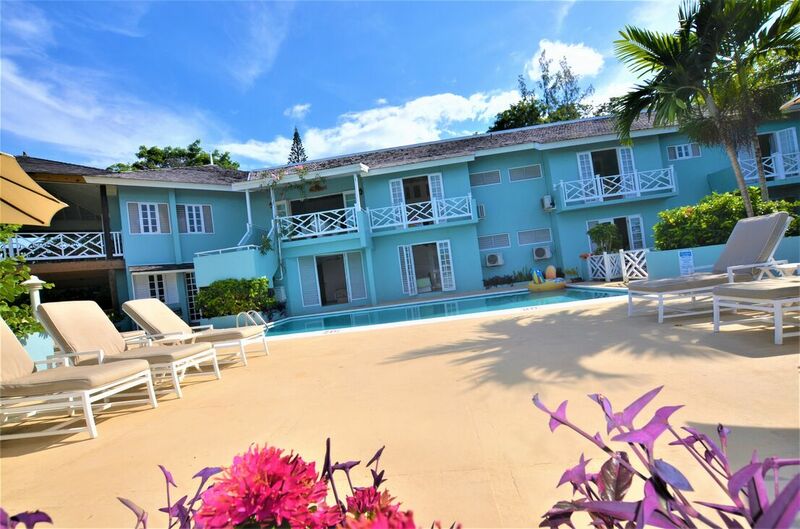 Guests can explore the beautifully landscaped gardens, lush with fruit trees, flowering plants and exotic birds. 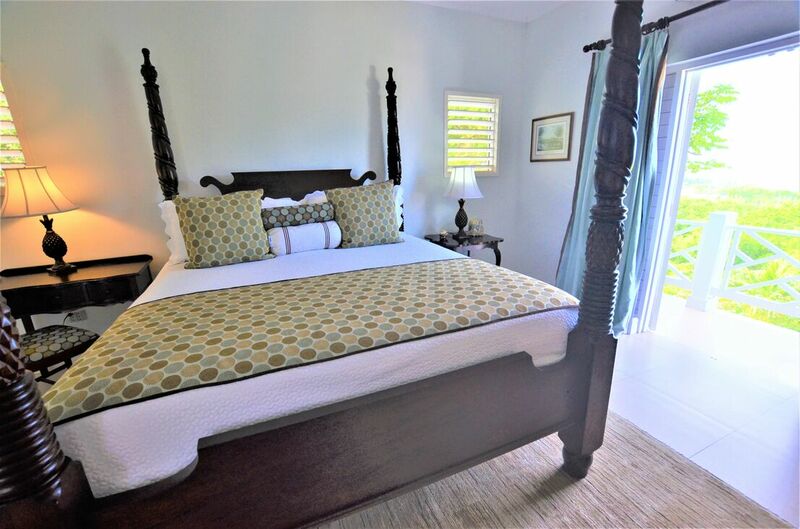 The chambermaid and laundress work unobtrusively to take care of every minute detail of the guests’ bedroom and bath needs and requirements. 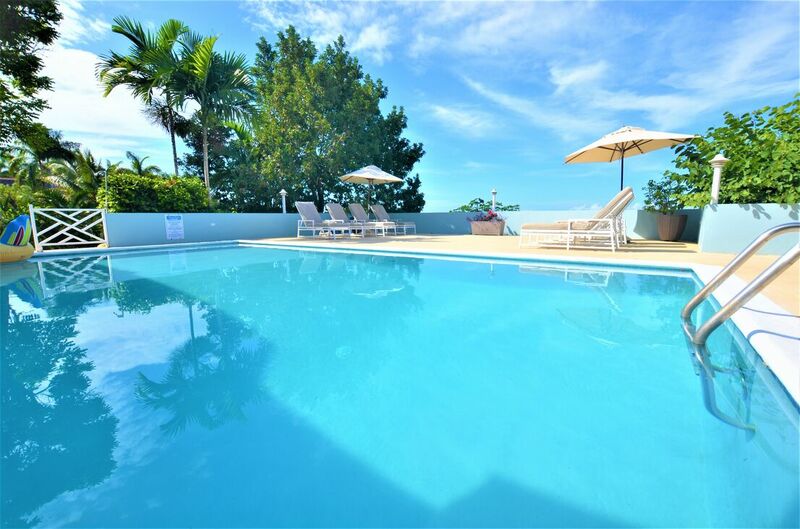 The pool and deck are always in an immaculate state for cool refreshing dips at any time of the day. As guests bask in the warmth of the tropical sun, they are served tantalizing concoctions from the bar. 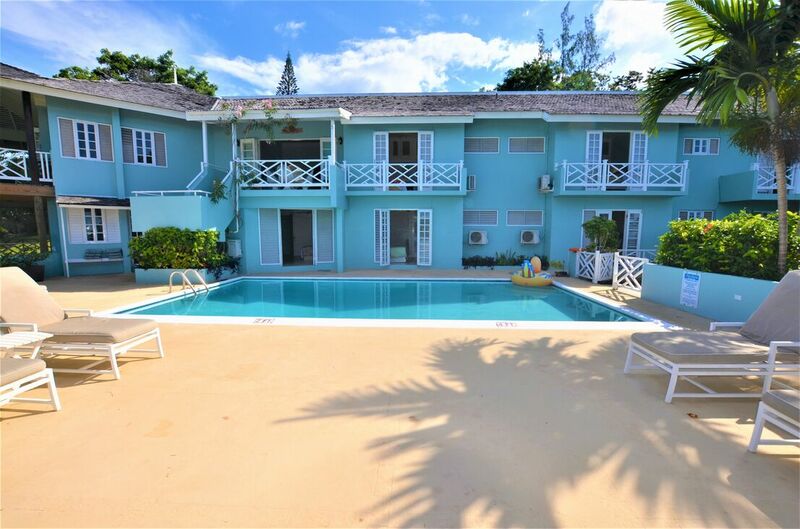 The staff at Serendipity Villa aims to spoil their guests while they enjoy the pleasures and beauty offered by Jamaica. 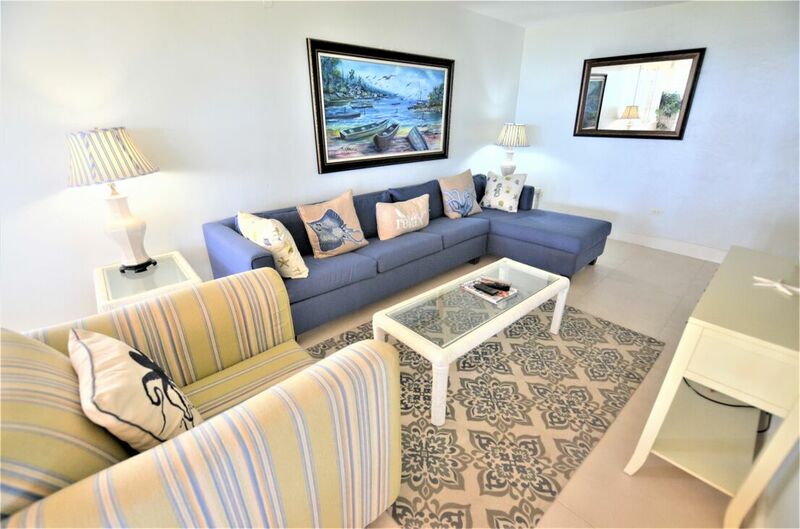 Serendipity is located on an impressive stretch of Jamaica's beautiful north coast within a 10-mile span of the colorful town of Montego Bay and the international airport, enabling guests to reach "home" 20 minutes after clearing customs. 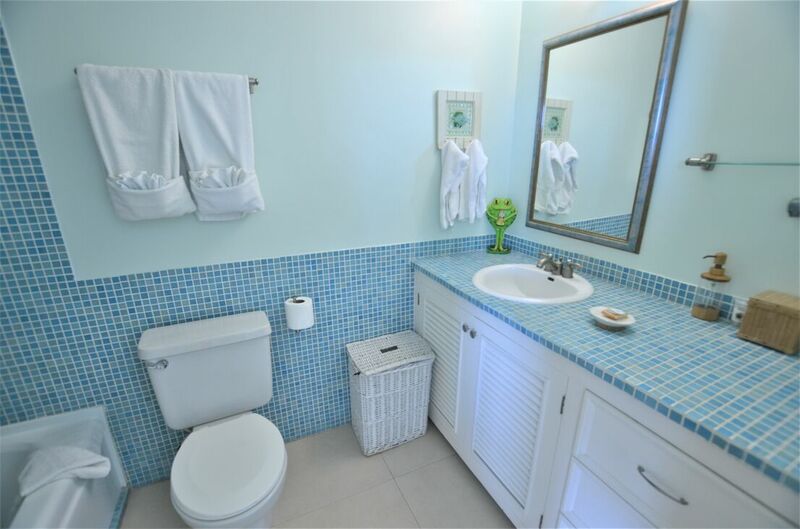 This newly remodeled road, referred to as “The Elegant Corridor” hosts top notch resorts such as The Ritz, Half Moon, and Breezes. 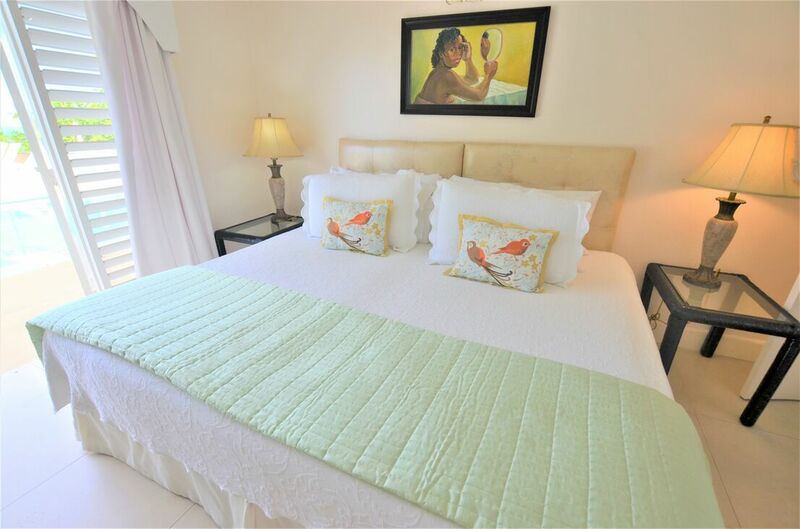 While privately located and concealed from view by lush landscaping, Serendipity is near beaches, resorts, water sports, golf and tennis, craft markets, art galleries, shopping, bars, restaurants, entertainment and an impressive variety of excursions from tours of old Great Houses to swimming with dolphins, rain forest zip-line thrills and mountain/river adventures tours. 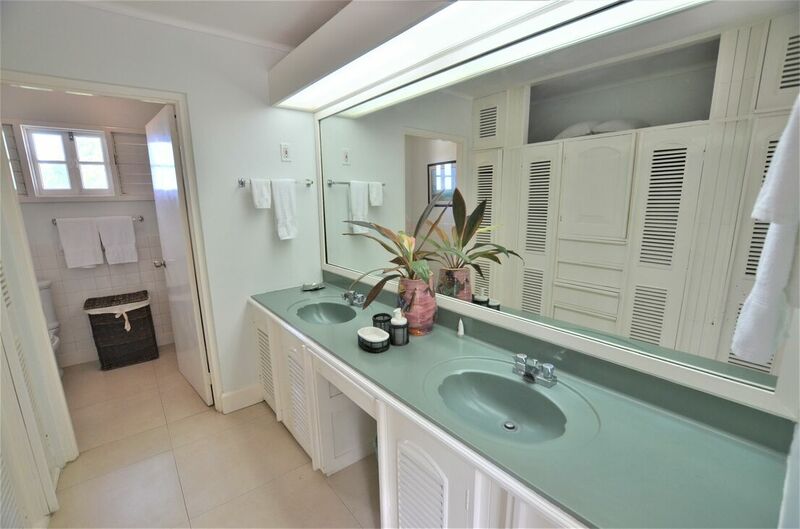 Jamaica also boasts some of the most beautiful highly-rated golf and tennis facilities in the Caribbean. Create lasting memories of sunset sails, river rafting, torchlight beach parties, horseback riding from the mountains to the sea, and climbing waterfalls. 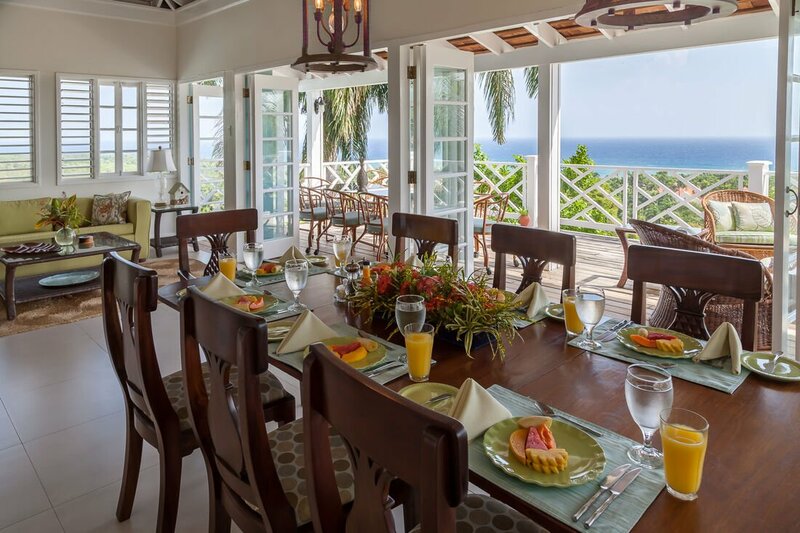 A typical breakfast may include fresh-squeezed orange or papaya juice and fresh fruits, banana fritters or plantain, eggs, bacon, pancakes or cereal, or Jamaican ackee and salt fish, which you should try at least once. 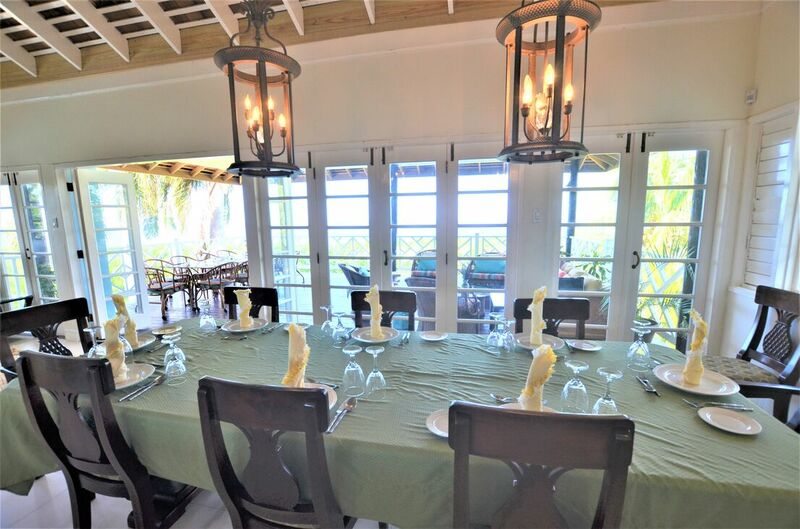 For lunches and dinners, look forward to your chef’s own mix of Jamaican specialties including delicious homemade soups, salads and desserts; grilled lobster, coconut shrimp, jerk chicken, ginger pork, fresh fish, curried goat and even lasagna. Traditional American fare including tenderloin, burgers and fries, homemade pizza, or light and healthy spa menus, vegan or vegetarian options can also be prepared if you prefer. You may provide a full menu or simply review your tastes and distastes with your chef and your chef will handle the menu while you relax. Just let us know your desire. 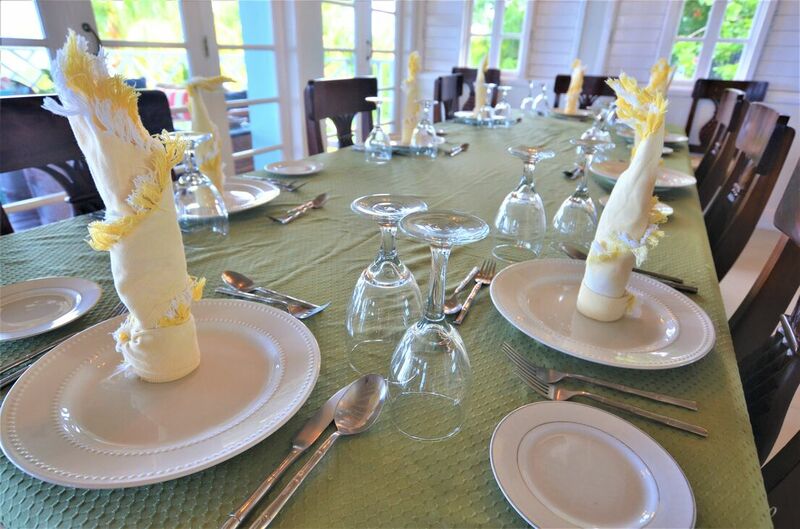 The chef suggests that you try a variety of Jamaican specialties, which can be prepared as mild or spicy as you like. Your butler serves meals, tends bar and generally facilitates your enjoyment. 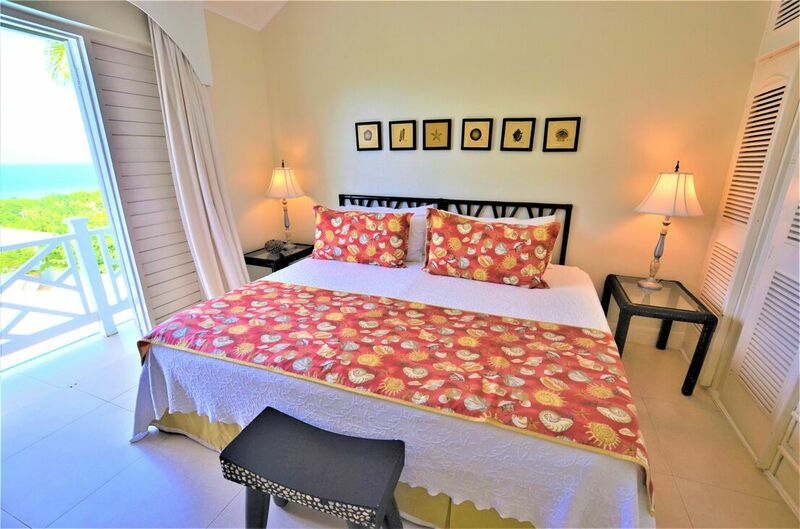 Butlers are not provided for bookings under 4 bedrooms. Your chef will handle grocery shopping for you, and prestock your first few meals. On your first day at the villa, your cook will meet with you regarding menus for the week, and then she will finish the week's shopping. At that time, you will give her cash for your food and drink plus her $60 taxi fare. If you wish to venture out to the various markets with your chef, you are welcome. Plan to pay for your groceries and gratuities in cash. Both US Dollars and JA Dollars are welcomed. Credit cards are only accepted if you accompany the chef as stores will not accept your card from your cook if you are not present with her. Roadside vendors of fresh fruits and produce will require cash. Jamaican cooks are excellent! 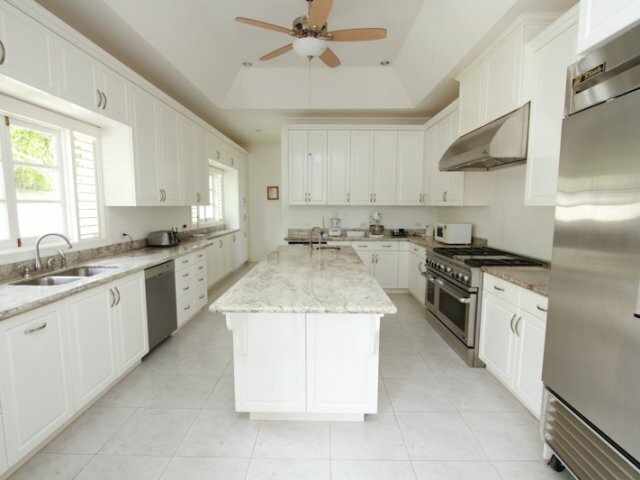 Your cook will prepare individual meals for children of all ages and serve them at times parents suggest. Often, this means parents can linger longer over rare all-adult candlelight dinners. Meals are served when guests are ready. 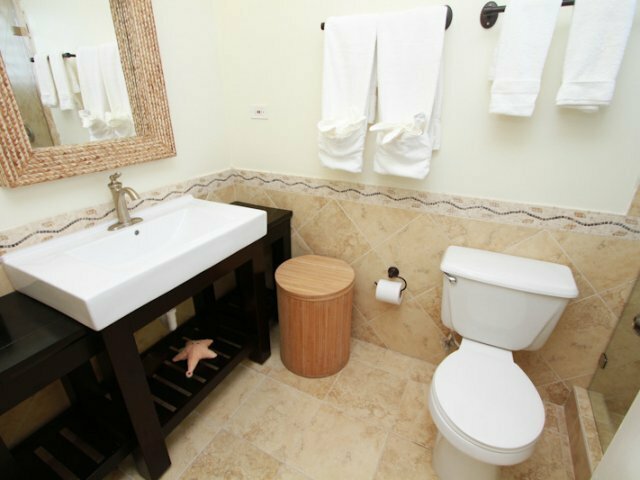 Your chambermaid will care for every detail of your bedroom and bath, and turn down your bed each evening. 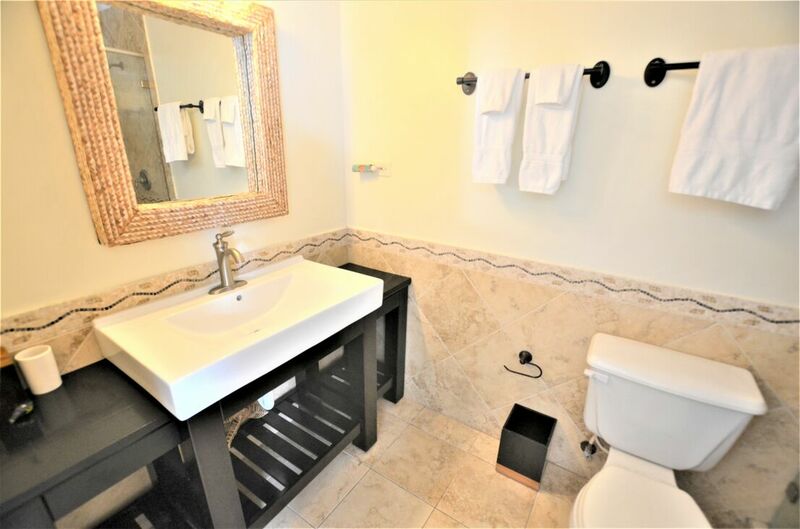 Your personal laundress will return your neatly-folded laundry each afternoon. You will actually fly home with suitcases full of clean clothes. Don’t over pack! Your gardener will immaculately maintain the pool and grounds each day. He also cuts flowers from the grounds to prepares beautiful floral arrangements prior to and during your stay. 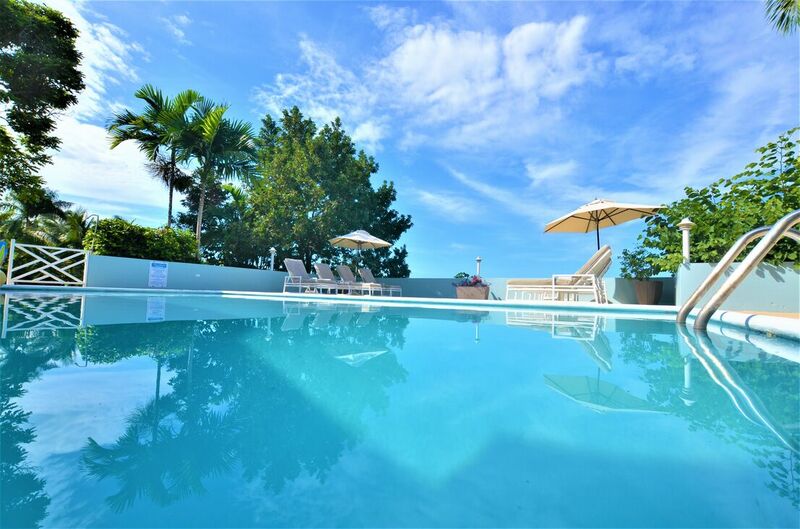 He will take you on a tour of the grounds and point out the exotic plants and let you sample the ripe fruit trees. If season permits, he will even serve you coconut water right from the coconut. Your gardener can also jerk roast you chicken and pork to perfection. Your driver will help you make the most of your sightseeing plans. We recommend our excellent private driver part time or fulltime. Masseuses are available on request and will service you right in your villa. Heaven on earth! Nannies enable the best of all vacation worlds: carefree parents and children being cared for nearby. Our nannies work for $10 per hour. Plan to pay also approximately $20 per day for your nanny's meals. Please be prepared to tip your villa staff and driver with cash. They will welcome both US and Jamaican dollars.